Do you need help with your business project? Let me advise you! These are questions that all entrepreneurs and managers have asked at some point during our careers, and there’s not always someone at hand to help… In these situations, a mentoring service is the solution you’re looking for. Mentoring consists of a prestigious professional with lots of experience helping another professional or group of professionals with less experience and knowledge to resolve a specific problem through personalised consultancy. Throughout my career, I have faced practically every challenge that an entrepreneur or top manager can face. Firstly, during my period as a top manager at major companies in the national and international market, and then as a founder of my own company which, in less than five years, managed to be positioned as a market leader in Southern Europe, and successfully joined Europe’s largest group in the sector. Sometimes I got it right and sometimes I got it wrong, but I always learned something. Moreover, I have had the enormous privilege of receiving valuable advice from some of the most brilliant minds in the business world – and they were extremely useful! That’s why now I make my experience and knowledge available to other professionals. I can help you define your business model, draw up your business strategy, contact and negotiate with suppliers, find investors and bring in funding, etc. By working together we can give your business the boost it needs to really take off. 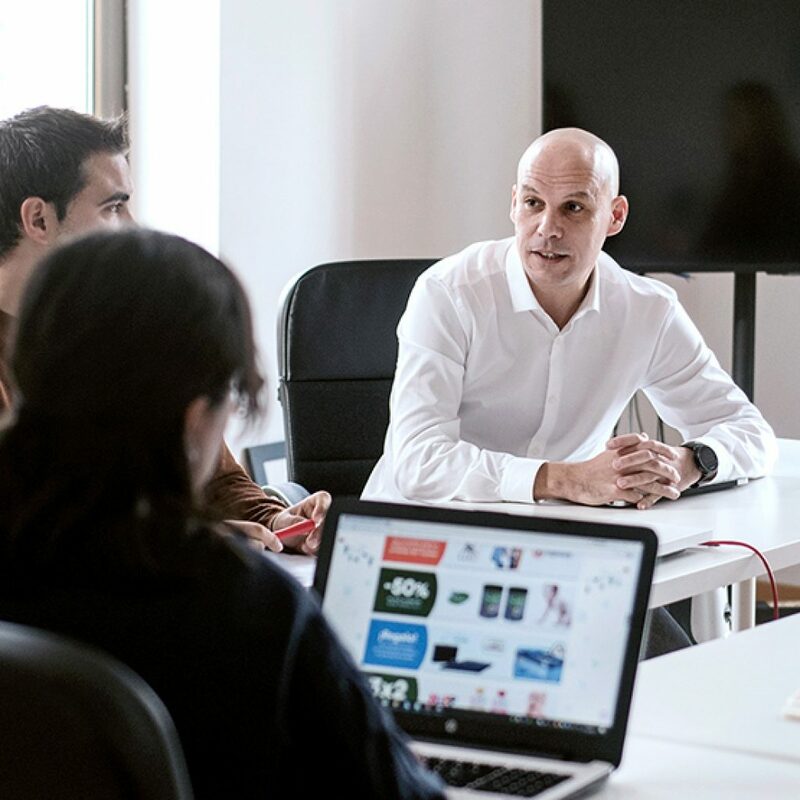 I can offer my experience to companies looking to move forward with their digital transformation, adapting to the new demands of the digital age. I have led several business digitization projects to improve competitiveness in an increasingly demanding market. If you are looking for attractive investment opportunities in companies in the digital sector, I can help you analyze the start-ups you have in mind and draw up your development plan. I have been on both sides of the table, so I know the views from all sides! Defining the problem: first of all, I analyse the available data to validate the prior diagnosis of the situation and to delimit the problem to be resolved. Resolution strategy: secondly, I suggest a series of steps that will allow you to resolve the problem diagnosed, with guaranteed success. Solution monitoring: finally, I do a follow-up to ensure that the strategy has been applied correctly, and it’s satisfactory. Throughout the whole process, we will establish a direct and personalised relationship between mentor and professional or business assessed, through video conferences, telephone, meetings or e-mail, depending on what is required. Would you like to be able to count on my guidance in a continuous way? If you participate in a rapid growth project, or your business is facing an especially complex situation, we can agree on long-term mentorship with regular sessions. Due to my other commitments and the personalized nature of this service, I am only available to mentor a very small number of professionals per year. Contact me and I will confirm whether I can help you as soon as possible.